Today Royal Caribbean have announced that the world famous Mamma Mia show musical is to be featured on the cruise lines upcoming cruise ship Quantum of the Seas. The announcement was made at the 87th Annual Macy’s Thanksgiving Parade in New York city. The float of Royal Caribbean which was called “A World At Sea” displayed the best features which guests can find on-board a Royal Caribbean ship. 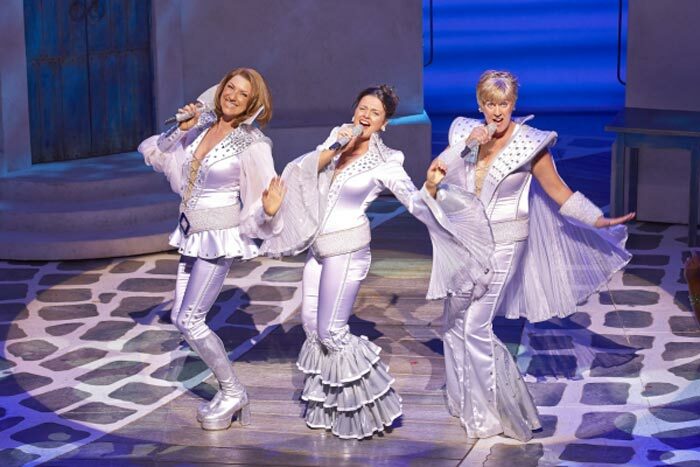 The Mamma Mia Musical offers even more amazing on-board entertainment from Tony Award Winning Productions just like previous shows like Hairspray. Mamma Mia is set on the popular Swedish band of ABBA who had many chart topping hits world wide including Mammia, Dancing Queen, Take a Chance on Me and Money, Money, Money. Passengers sailing on the Quantum of the Seas will love the story and music behind the show. Royal Caribbean is the only cruise line the feature the Tony Award Winning Broadway Musicals and several other ships have also featured the shows. Mamma Mia will be a great addition to the Quantum of the Seas which will be sailing out of New York when it debuts in November 2014. So we can all get ready for some amazing shows on the innovative ship, what do you think? Let us know in the comments below.